In May 2014 the NSA published four crypto challenges via Twitter. To my knowledge, the fourth one is still unsolved. Send your solutions to classical.ciphers.group@gmail.com by the end of January with your name to be in to win. Early February two random entries will be drawn. 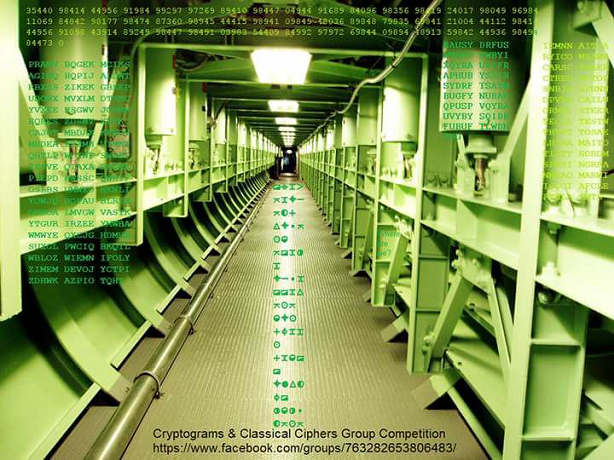 The competition is organized by blog reader Bart Wenmeckers on the occasion of the second aniversary of the Cryptograms & Classical Ciphers FaceBook group. Please don’t publish the solutions before the competition is finished. 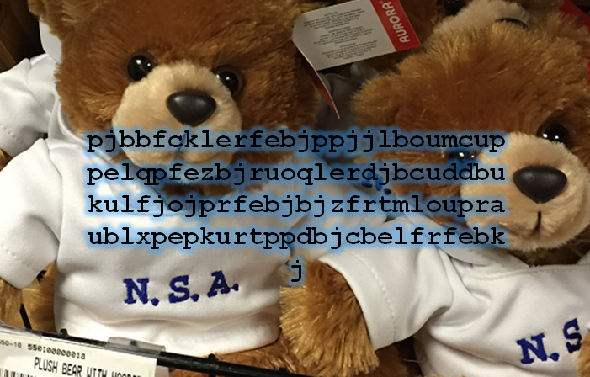 Solution (letter substitution): want to know what it takes to work at nsa? check back each monday in may as we explore careers essential to protecting our nation. Solution (letter substitution, plaintext has to be read backwards): NSA is looking for intelligent, imaginative critical thinkers who can contribute innovative ideas to solve our most difficult challenges. Solution (letter substitution, plaintext in Spanish): Los cient(i)ficos de la computaci(o)n tienen la oportunidad de ampliar sus iniciativas, habilidades y talentos para aprender y ser imaginativos. As can be seen, all three solutions explain the purpose of these challenges. The NSA published them in order to attract skilled codebreakers that might be interested in a career at the agency. 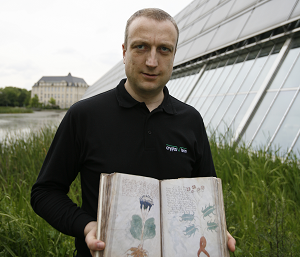 However, the first three cryptograms were not difficult enough to challenge the really good ones. This changed with the fourth challenge. I blogged about this challenge in 2014 (in German). Though there were a number of comments, nobody could break this cryptogram. Almost four years later, I’m still not aware of a solution. When searching via Google, I can’t even find a page describing the challenge, let alone the cleartext. This looks like an ordinary MASC (monoalphabetic substitution cipher). The Index of Coincidence (IoC) is 6.7 percent, which is consistent with the English language. As the B is the most frequent letter, it might stand for the E. However, I don’t think that it is that simple – otherwise the challenge would have been long solved. Does a reader know whether the solution of this challenge is available somewhere? If not, can a reader break it? Italian is a good idea, as not only the low number of letters but also the index of coincidence (0,072) would be consistent with a monoalphabetic substitution of an Italian plaintext. But neither a forward nor a backward substitution yields meaningful results, so that probably a more complicated transposition component was used before or after the substitution. Name the Structure (where in the site) and site location of the main image. Thanks for promoting the classical ciphers group competition.